Krista Byers-Heinlein and Miriam Diaz. | Photo by Concordia University. From Beaconsfield to Pointe-aux-Trembles, board any bus, wait in any line, or sit in any audience; the chatter will resonate with at least two distinct cadences and vocabularies. More often, the voices in any Montreal crowd will include three or four different languages. Two researchers who joined Concordia’s Faculty of Arts and Science earlier in 2010 study how people learn, understand and acquire language throughout their lives. Both are thrilled to be in a city with two vibrant languages and a host of other linguistic communities offering a multitude of possibilities for new, related projects. “It’s like a living laboratory,” exclaims Miriam Diaz, in the department of Classics, Modern Languages and Linguistics. Since arriving in Montreal in the summer of 2010, she’s been learning more about the various communities here to develop her next research project. Her work focuses on how individuals acquire second and third languages at different stages in life. With so many opportunities, she’s overwhelmed by the options. Krista Byers-Heinlein returned to Montreal from Vancouver to join the faculty in the Department of Psychology to further her study of babies growing up in bilingual households. “I ask how they do this magical thing of figuring out that there are two languages in their input and somehow manage to learn both of them at the same time,” she says of the infants (ranging from two days to two years old) she has studied. 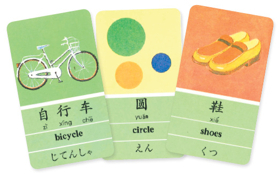 Flash cards are one way to learn a new language. Diaz’s previous research project, in Arizona, looked at native English speakers who learned Spanish, and later, Portuguese. While most phonetic studies consider the process of learning a second language with more vowel sounds than the first language learned, Diaz’s cohort first switched to a language with fewer sounds (Spanish has five vowel sounds to English’s twelve) and then a third with more (Portuguese has seven). Ultimately, the results were unexpected. Although the participants were in the position of learning a (third) language with less variation than their first language, they found the transition harder, not easier. Finding participants who spent a significant portion of their lives monolingual might be more challenging here. Diaz is considering developing a project with people who arrive in Montreal with two languages and then learn French, or perhaps with bilingual Montrealers who learn a third language in adulthood. Both researchers point to the advantages of bilingualism, including delayed onset of Alzheimer’s disease and increased ability to shift from task to task. As for the factors that support language acquisition, both researchers agree on the importance of exposure. “If an infant only hears Vietnamese on the weekend, one hour a week, from a grandparent, it’s really unlikely that that child is going to grow up to speak Vietnamese,” explains Byers-Heinlein. Regular, prolonged exposure to languages makes language acquisition much easier, even in utero. Byers- Heinlein’s research involving newborns whose mothers spoke two languages during their pregnancy demonstrated that the infants were able to distinguish between their two native languages-to-be, and preferred listening to them over others. The infants were trained to indicate their interest in sounds by sucking on a small pacifier. “What we found was there was already something bilingual about those babies,” says Byers-Heinlein, in comparison to babies born to unilingual parents. “The babies were set up already from birth to have the tools they need to become bilingual.” Byers-Heinlein, like Diaz, is also looking for families to participate in her research. Since such studies are often quite specific (requiring a number of 18-month-old children from bilingual households), being in a city like Montreal, with a wide range of bilingual families, will make that task easier.